We are now located in Tehachapi and accepting new clients! 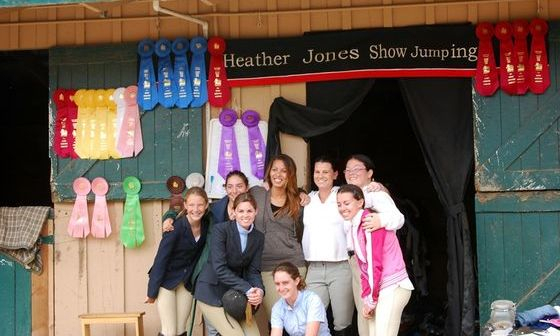 Heather Jones Show Jumping specializes in tailored lesson and training programs for horse and rider. Customized training is offered at the beginner through advanced levels. We have horses available for sale and lease. For those wishing to compete we have a variety of competitive show programs to suit your individual needs. Students are actively showing in non-rated shows through "A" circuit. We understand that not every horse and rider team wishes to compete. If you are the "weekend warrior" or pleasure rider we have a program for you. Dressage,and Beginning Natural Horsemanship lessons are also available. Horses may also be placed in our consignment program. Every horse is evaluated to ensure a proper training/ sales program is provided. We strive to place every horse in the appropriate situation based on ability and training. Here at Heather Jones Show Jumping, we represent all of our horses and clients honestly.